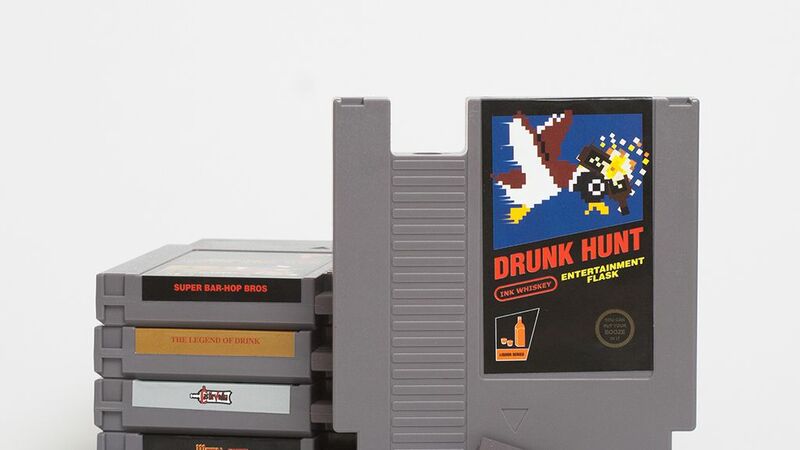 Remember your golden childhood days of playing Nintendo’s “Drunk Hunt” and “Metal Beer”? Probably not, because these were never real games. But they are real NES cartridge–themed flasks for all your drinking needs. For just $20 you can knock out the holiday shopping for your favorite video game addict early. The only question left to answer is whether they will work better if you blow into them.